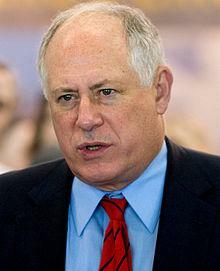 Governor Pat Quinn wants to proceed with getting rid of dozens of Illinois Department of Transportation employees. But the layoffs won't happen for at least another month. Gov. Quinn doesn't claim the layoffs as his idea; rather, he says it was his newly-appointed IDOT Secretary who came up with the "reorganization" that'll leave some 58 employees out of work. But the union which represents most of those employees, says it's not a reorganization at all. It's a way to give Quinn political cover as he faces a tough re-election against Republican Bruce Rauner. The Teamsters are fighting to keep their jobs; a new court agreement lets them, until another hearing, in late October. "They're certified employees, they've been in these positions for many years, doing everything that their manages have asked them to do at IDOT, and they're entitled to keep their positions." But the issue is less with how well they're done their jobs or not; it's about how these "staff assistants" got hired. An inspector general's report says under Quinn, IDOT allowed a practice that began during Rod Blagojevich's time as governor, to continue. Essentially, IDOT skirted hiring rules, so people with clout could get state jobs. Illinois Gov. Pat Quinn, in a filing late Monday in federal court, contends a court appointed monitor is not necessary to ensure compliance with political hiring bans as suggested by an anti-patronage attorney. The Illinois Department of Transportation is doing some house cleaning after being accused of illegal patronage hiring. John Gregory reports. 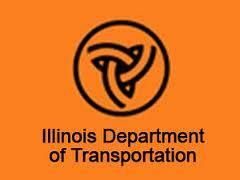 The Illinois Department of Transportation is eliminating 58 positions that are at the center of a lawsuit alleging questionable hiring practices. Governor Pat Quinn has asked a federal court to dismiss a Chicago attorney's challenge to state hiring. Gov. Pat Quinn says the increase in jobs free from hiring rules at the Illinois Department of Transportation were ``absolutely'' necessary.